Personalized gifts are great for all family functions. If you’re stuck on trying to figure out what to give someone for an upcoming event, think no more! 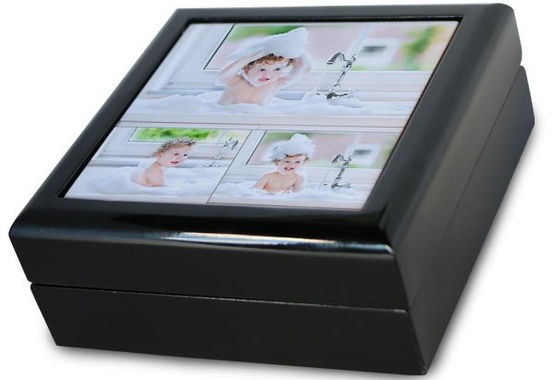 MailPix offers customizable keepsake boxes that are ideal as a: jewelry box, gift box, baby keepsake box, and wedding keepsake box—just to name a few. No longer do we dwell in the days where unique baby gifts are mundane to shop for; now you can customize any beloved picture that will go on the top of keepsake box’s top inlay. Add a photo of your favorite memory to your custom gift box to personalize the box and make it yours. A custom box for trinkets and keepsakes is great for anyone, create yours today!